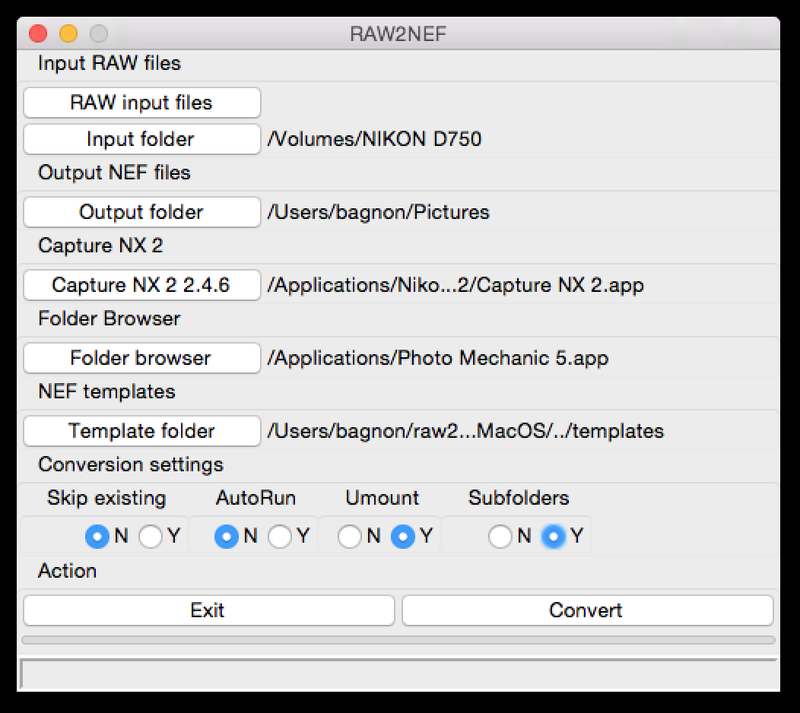 RAW2NEF for Mac is small utility that allows users to convert some kind of RAW image files to Nikon NEF image format. It is also used as an extension for Nikon Capture NX 2 editor. If you need more information please contact the developers of RAW2NEF for Mac (Miguel Bañón), or check out their product website.